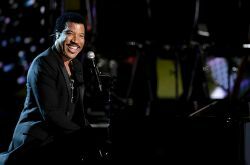 LIONEL RICHIE PLAYS THE AXIS AT PLANET HOLLYWOOD IN 2016: Another mini-residency with about 20 shows next year is heading to The Axis at Planet Hollywood on April 27 starring music icon Lionel Richie. He’ll be in the same theater where Britney Spears will continue headlining for another two years and Jennifer Lopez will pick up her residency next year. Tickets for his 8 p.m. performances range from $59 to $199. Richie with his hits will have everyone “Dancing on the Ceiling” and “All Night Long.” Show dates are in April, May, September and October. SIEGFRIED & ROY INTRODUCE FOUR NEW TIGER CUBS AT THE MIRAGE: Siegfried & Roy introduced the newest additions to their animal family when four six-week-old tiger cubs made their first appearance at Siegfried & Roy’s Secret Garden and Dolphin Habitat at The Mirage this month. These are the first tiger cubs introduced at The Mirage in five years. They were born Aug. 5 to mother Indira and father Svengali, Animal lovers can watch and follow the cubs using the Twitter and Instagram handle @SARMOTIcubs. The siblings Liberty, Maharani, Hirah, and Justice can be viewed in a specially designed nursery at noon daily. ‘SEA MONSTERS REVEALED’ EXHIBIT DEBUTS AT SHARK REEF AQUARIUM: Sea Monsters Revealed will open adjacent to Shark Reef Aquarium inside Mandalay Bay on Oct. 1 and run through October 2016. Sea Monsters Revealed will open at 9:30 a.m. daily. Tickets are $5 for guests who also purchase a ticket to Shark Reef Aquarium and $12 for the Sea Monsters exhibition only. 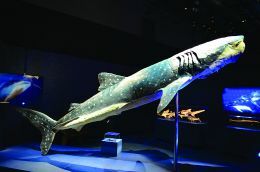 The exhibit also features a 15-foot-long mako shark and giant sunfish among its more than 18 full-body sea creatures. Additional displays include 150 individual organs and smaller specimens such as tropical fish, crustaceans and ocoputses. ‘FANTASY’ HEADLINER JAIME LYNCH WILL SING NATIONAL ANTHEM AT PBR: Luxor’s adult revue “Fantasy” show headliner Jaime Lynch will sing the National Anthem at the 2015 Professional Bull Riders’ (PBR) Built Ford Tough World Finals opening ceremony at 6 p.m. Wednesday, Oct. 21 at the Thomas and Mack Center. Afterwards the “Fantasy” cast will perform and heat up the PBR after-party at the recently redesigned LAX Nightclub in the Luxor. BORN AND RAISED HENDERSON OPENED IN HENDERSON: Born and Raised BAR opened at 10050 Eastern Ave. in Henderson highlighting some of the brand’s award-winning food and drinks that have made the “Best-Of” list year after year. The 24/7 bar features hometown natives on its team: Aaron Raeder as Executive Chef and D.J. Allen as a partner. Raeder’s focus is a menu featuring fresh, never frozen, ingredients and local produce. RETAIL CHANGES AT SLS LAS VEGAS: Los Angeles-based retailer Fred Segal closed his exclusive operations at SLS that included seven stores – He, She, Jeans, Play, Goods, Jewels and Shoes – the company ran at the resort since it opened in August 2014. To replace the Fred Segal brands, SLS opened three of its own retail outlets: Etc., Goods and Her. Other nongaming changes at SLS included the property’s buffet closing last October while the Los Angeles-based Griddle Cafe closed in January and was replaced by Northside Cafe, a 24-hour Las Vegas-style coffee shop. 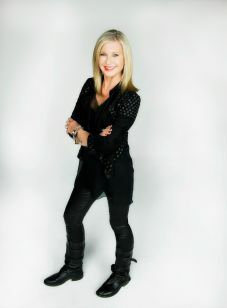 LEGENDS SEARCHES FOR FIRST OLIVIA NEWTON-JOHN TRIBUTE ARTIST: “Legends in Concert” live tribute show and Flamingo headliner, Olivia Newton-John, have joined forces to launch the global search for the first Olivia Newton-John tribute artist. Aspiring singers should submit a video of themselves singing a classic Newton-John song from any era via the Legends in Concert website. Participants must dress up as the real life Grammy award-winning music icon, or one of their favorite characters she made famous such as Sandy from “Grease” or Kira from “Xanadu.” One “Hopelessly Devoted” fan will win a chance to perform at one of the Legends in Concert venues in the United States.For fans who don’t sing, they can enter a related contest via Instagram. Entrants can upload a photo of themselves dressed as Newton-John, tagging @LegendsInConcertLV and using the hashtag #OliviaIsALegend. In addition, Legends and Newton-John’s shows at the Flamingo have discounted ticket prices for VIP, golden circle and main floor price levels. By showing proof of purchase of either show guests can receive a 30 percent discount for the other show. Additionally, $5 from each ticket sold will be donated to the wellness programs at the Olivia Newton-John Cancer & Wellness Centre in Australia. 39TH ‘MRS. AMERICA PAGEANT’ BEING HELD AT WESTGATE: The 39th annual Mrs. America Pageant will return to its original home at the Westgate this fall. Hosted by actress Florence Henderson, star of “The Brady Bunch,” the pageant will be held Sunday-Thursday, Sept. 20- 24 inside the International Theater. Tickets start at $50; call 310-829-9902. Preliminaries be held Sunday-Wednesday from 9 to 11a.m. A winner will be crowned during the final competition on Thursday, Sept. 24 from 10 a.m. to 1 p.m. The winner will go on to represent the United States in the internationally-televised Mrs. World Pageant. 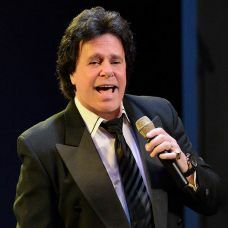 GENE FERRAI ITALIAN AMERICAN CLUB: Singer Gene Ferrari will be performing a one-night show featuring songs from ballads to classic with the 12-piece Mariano Longo Orchestra at the Italian American Club on Saturday, Oct. 3 at 8 p.m. Tickets are $20, call 702-457-3866. Ferrari first appeared in Las Vegas in the early 80s when he became an opening act for Don Rickles at the Stardust and then toured with the comedian for seven years. He opened for other headliners including Bob Newhart, Joan Rivers, Dom DeLuise, Rich Little, David Brenner, Pat Cooper, and Bob Hope. Ferrari has a two-and-a-half octave range and due to his world travels is fluent in several languages. Recently he has been on a national tour making guest appearance at fundraisers for various American veterans’ charities. Ferrari was born in Catania, Sicily, and came to America in 1972 with $100 in his pocket and not speaking a word of English. 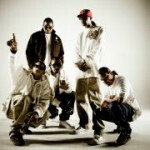 WEST COAST FEAST AT HARD ROCK FEATURES HIP-HOP LEGEND: Hip-hop legends Bone Thugs-N-Harmony, DJ Quik, Collie Buddz and Tha Dogg Pound will unite at The Joint at the Hard Rock on Friday, Nov. 27 at 9 p.m. for the West Coast’s extravagant Thanksgiving celebration – West Coast Feast. This year’s West Coast Feast follows on the heels of “Straight Outta Compton” – a film that garnered fresh appreciation for the West Coast hip-hop roots. Tickets start at $45. OPPORTUNITY VILLAGE HOLDS 1ST ZOMBIE BASH AT MAGICAL FOREST: Opportunity Village (OV) is gearing up for Halloween starting with its first Zombie Bash on Saturday, Sept. 26 at the Magical Forest starting at 8 p.m. with Zombie cocktails, post-apocalyptic train and carousel rides, and a creep through the darkened forest. At 9:30 p.m. the OV Events Center doors will open for all the zombie festivities. Until 1 a.m., guests will move inside with multiple bars, cocktails by The End zombie bar, music by DJ Irish, zombie makeovers for $10, and entertainment from “Zombie Burlesque.” Guests will be able to enter a costume contest for $10. Prizes will be awarded to the winners and all contestants will be entered into a raffle. Individual tickets for Zombie Bash are $50 with two drink tickets included or $90 per couple with four drink tickets. VIP tickets are $140 visit www.zombiebashlv.com. ARCHER BOB MARKWORTH WILL PERFORM AT PAHRUMP’S FALL FESTIVAL: Internationally-recognized bow and arrow expert Bob Markworth, who is 78 years old and performed on last year’s “America’s Got Talent” and also on “France Has Talent,” will perform at the Fall Festival at Petrack Park in Pahrump Sept. 24-27. When he’s not performing, Markworth will have a vendor booth where parents and kids can learn more about archery. THE FABULOUS THUNDERBIRDS PERFORM AT THE SILVERTON: Multi- platinum Texas/Swamp Blues sensation The Fabulous Thunderbirds featuring the original band member Kim Wilson will be performing at the Silverton on Saturday, Oct. 10 at 8 p.m. inside Veil Pavilion. Wilson has been spearheading the band through 30 years of musical evolution as well as extensive tours through the U.S. and Europe. Wilson has remained true to the band’s American music history but has also introduced new styles and sounds and acquired a more contemporary style. Tickets start at $29. STRIP PERFORMERS BARE IT ALL FOR THE FIFTH ANNUAL SOLO STRIPS: The fifth annual Solo Strips returns to Las Vegas featuring the Strip’s hottest entertainers baring it all on stage to benefit Broadway Cares/Equity Fights AIDS (BCEFA) and Aid for AIDS of Nevada (AFAN). Tickets are on sale at afanlv.org for the one-night-only show on Monday, Sept. 28 at midnight inside Spiegelworld’s Absinthe tent on the forecourt of Caesars Palace. Tickets are $25 and $40 for VIP. HAPPENING NEWS: Jennifer Lopez celebrated her upcoming Las Vegas residency at The Axis Theater at Planet Hollywood starting Jan. 20, 2106, with a blowout party at Chateau Nightclub & Rooftop at Paris on Saturday, Sept. 19. “The Book Of Mormon” returns to The Smith Center from Sept. 22-Oct. 18. The Golden Nugget is holding a big Life is Beautiful Kick Off Night Swim poolside on Thursday, Sept. 24 from 9 p.m.–1 a.m. The Tank will come alive with music by The Perks and beats by DJ ParaDice. You can get festival ready with a custom t-shirt booth, foil tattoos and a DIY flower crown station. Featured liquor sponsors are Ketel One and Dos Equis and the event is free for all ages. Hakkasan Las Vegas Nightclub at MGM Grand announced resident DJ Tiësto as the headlining artist for New Year’s Eve Thursday, Dec. 31. This past year Tiësto had his first GRAMMY win for his remix of John Legend’s hit track “All Of Me” and two No. 1 tracks on Beatport. Cover charges and table reservations will vary. While future plans for the Riviera are being developed to make way for the Las Vegas Convention Center District, the facility is being used by multiple agencies nationwide as training ground for emergency-response exercise. The Downtown Grand and William Hill Sportsbook have teamed up to offer sports book customers football season tailgate specials. Starting at 9 a.m. every Saturday and Sunday at the William Hill Sportsbook outdoor patio there will be barbeque and beer $2 and $3 specials and quarterly draw prizes. Circus Couture will present “Twelve,” an extravagant circus, fashion, and art event inside The Joint at Hard Rock at 6 p.m. on Friday, Oct. 9. The event will benefit the Children’s Specialty Center of Nevada, the state’s only clinic treating kids with cancer regardless of insurance. In its sixth year, Circus Couture has grown to include talents from Las Vegas’ revered fine artists and community leaders. The evening will feature a silent and live art auction, and a breathtaking circus spectacle showcasing sensational performances and runway fashion. Tickets start at $35. This columnist’s introduction to the Downtown Las Vegas Events Center this month was seeing country singer-songwriter Justin Moore rocking with opening act Sam Riddle. Good to finally get familiarized with the outdoor venue. Enjoyed a American Coney Dog beforehand. Vegas PBS is holding a murder mystery fundraiser at the Mob Museum downtown for an evening of mystery and mayhem, wine tasting and desserts on Sunday, Oct. 25 from 8-10 p.m. Guests will help solve the crime and learn all about the mob influence. 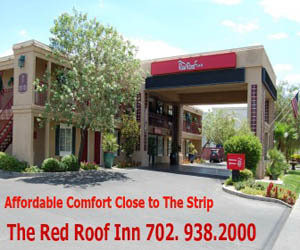 Tickets are $110, call 702-737-7500. On Thursday, Sept. 24, Bitcoin Direct will launch the world’s first Mike Tyson Bitcoin ATM machine at Off The Strip at The LINQ and will be available immediately for consumer use. It will bridge the gap between bitcoin users and mainstream pop culture by providing consumers with the ability to use cash to purchase bitcoins instantaneously through their mobile devices. Crazy Horse III gentlemen’s club will host a viewing party for the UFC 193: Ronda “Rowdy” Rousey vs. Holly “The Preacher’s Daughter” Holm fight on Saturday, Nov. 14 starting at 5 p.m. RESTAURANT SPECIALS: Oscar’s steakhouse at the Plaza downtown offers Ladies Night every Thursday with ladies drinking free from 4 to 7 p.m., live entertainment by Calvin & Jeff specializing in Rat Pack-era tunes, and the beef slider for $5. Men can enjoy Oscar’s happy hour menu featuring 50 percent off all appetizers and drinks. All guests are entered in the Oscar’s Ladies Night raffle to win either a free one-night Plaza stay or a complimentary bottle of wine with the purchase of an Oscar’s entrée. Roy’s restaurant on East Flamingo has kicked off an all-night Aloha Hour every Sunday and Monday during football season with $7 cocktails and bar bites and a Wagyu Burger for $10. 34th Floor Hospitality will introduce two new concepts to Rick Harrison’s Pawn Plaza this fall: Inna Gadda di Pizza and Pawn Donut & Coffee. The two concepts will offer breakfast, lunch and dinner. Pawn Plaza at 725 Las Vegas Boulevard South is just south of the World Famous Gold & Silver Pawn Shop, home to History’s “Pawn Stars.” Last week, db Brasserie at The Venetian debuted Oyster Happy Hour from 5-6 p.m. daily featuring $1 West Coast oysters while supplies last. In the Venetian, Delmonico Steakhouse lead mixologist Juyoung Kang has unveiled her new specialty cocktail menu featuring 13 handcrafted cocktails. Cocktails are $16 and available in the lounge and restaurant. On Monday, Sept. 21 from 6-8 p.m. in the bar and lounge, there will be a public cocktail tasting event with Kang mixing up her specialty and featured bourbon cocktails at half price, along with complimentary tray-passed appetizers. TREVI Italian Restaurant inside The Forum Shops at Caesars will partner with Peju Province Winery in Napa Valley, Calif., to host an exclusive wine pairing five-course dinner on Friday, Oct. 2 at 8 p.m. for $125, call 702-735-4663. At New York-New York, it will be Shake Shack’s 10th Annual Shacktoberfest Friday, Sept. 25–Sunday, Oct. 4. It is also the only time of year to get a special 25-ounce Shake Shack Bier Stein for $10, filled to the brim with your choice of Brooklyn Brewery’s brisk, malty Oktoberfest brew or ShackMeister® Ale. After that, it’s yours to keep and $7.50 for a refill throughout Shacktoberfest. Both Las Vegas Hard Rock Cafes have a brand new burger and beer pairing that pays homage to Oktoberfest. The Samuel Adams OctoberFest Schnitzel Burger – will be perfectly paired with Samuel Adams OctoberFest beer Tuesday, Sept. 22 through Oct. 31. Carlo’s Bakery at The Venetian-Palazzo has added donuts from the Cake Boss Buddy Valastro including the signature cannoli donut.